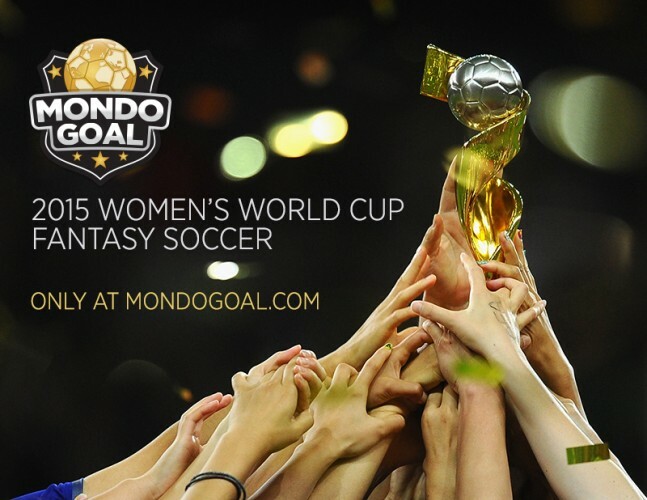 The 2015 Women’s World Cup begins today and the Sports Techie community readers and followers have a new daily fantasy soccer platform to play on created by Mondogoal where their football Summer Showdown contest has a $10,000 cash payout. Mondogoal is the leading global fantasy sports company in the space and licensed to operate around the world unlike competitors in the space like FanDual or DraftKings. Shergul Arshad, CEO of Mondogoal, chatted with me from Boston once again about his groundbreaking decision to develop and provide a fantasy platform for the WWC 15 while helping to support the sport and game so many women, men, children and fans are passionate about worldwide. First-Ever Daily Fantasy Game For Women’s Sports Also Includes New Option To Partner With Men’s Games As Well in “Co-Ed” Format. This FIFA tournament is hosted in Canada and runs from June 6 through July 5, the final takes place at BC Place in Vancouver, BC. Over one billion TV viewers are expected, according the BBC. Arshad stated, “Seventy percent of the world’s sports betting takes place on soccer.” Although Mondogoal is not considered gambling and is not a game of skill but rather chance, it is on for you daily fantasy sports nuts and WWC fans so play on and enjoy this novel fan experience. Our previous blog about Mondogoal’s partnership with FC Barcelona is readable at this link, here. Arshad said, “This is the first-ever daily pay fantasy game for any women’s sport.” He feels their soccer fantasy game is fun for the players themselves since it will be the first time they will be selected on a fantasy team, much the same as bubble gum cards, stickers or video games. The WWC promised to be an exciting tournament and he believes more people will be more engaged because of fantasy soccer. “Fans consume 40 percent more sport more while playing fantasy sports,” says Arshad quoting the Fantasy Sports Trade Association (FSTA). Mondogaol will offer a single fantasy contest and $10,000 prize package for the 200 entrants who qualify. Enter the Sumer Showdown contest daily ever matchday all the way to the finals at a cost of $2 or a direct buy in of $55. They have a freeroll contest as well. Summer Showdown has a co-ed format so participants can select players involved in the Women’s World Cup third place game and the Finals of both the WWC and Copa America later this month. The innovative sports technology company is also providing special contests with the option for fans to combine players in the Women’s World Cup together with players in top Men’s competitions going on at the same time (Champions League Final today between Barca and Juventus, MLS, Copa America), the first time team fantasy sports have ever had a coed option. The daily pay fantasy games run the entire #WWC15 for all teams and all matches, winners come from the best compiled scores at the end of the day from a series of statistics provided by Perform Opta Sports. Data analytics compile and award goals, assist, tackles won or lost, shots on goal, passes completed, shutouts, penalty kick stops and other stats. Fans select a squad of 11 players from the two to four games of each day keeping in mind the Mondogoal salary cap. In what is actually a second screen opportunity, once your team is picked, watching the fantasy soccer real-time results and contributions on a digital device while the live games are televised on TV is fun and engaging. Arshad’s vision is for people to pick superstars from the men’s game such as Lionel Messi, Neymar, Luis Suarez, Carlos Tevez and Clint Dempsey, paired with stars for the WWC like Alex Morgan, Abby Wambach, Marta and Christine Sinclair. Who will be the newest stars and elite rookie performances? If you know that your chance of winning increases because other fans will most likely not know who they are until after the fact. Mondogoal operates daily or matchday contests for La Liga, Premier League, Serie A, Bundesliga, Major League Soccer, Ligue 1, the FA Cup, European Championship Qualifiers and the prestigious Champions League, Europa League and World Cup. The sports tech firm is the only daily fantasy sports site available for cash play in multiple major markets around the world, with specific emphasis on the United Kingdom, United States, Canada, Ireland, and Brazil. They launched 6 months ago with official soccer partners Chelsea FC, FC Barcelona, Liverpool FC, West Ham United FC, Manchester City FC, and AS Roma. Mondogoal currently runs substantial cash prizes throughout the week. Their pioneering implementation of a new form of engagement with fans of soccer clubs not used to fantasy play is a business hit. Players login or create an account, add funds, and every matchday there is the chance to win money by building a unique starting 11 and competing in a Head-to-Head battle or Multi-User-Tournaments. Mondogoal Women’s World Cup Fantasy Sports Soccer Game Launches as Industry First – Sports Techie blog. Sports Techie, I am no expert at women’s soccer but consider myself an avid fan. Sports Illustrated however did produce predictions you can learn more about, here. Bleacher Report also rated the top 50 players of the WWC you can analyze here. If you win the prize and used these resources, let me know via a tweet or comment below. Soccer is of course the number one sport in the world and sports tech is driving the game to new levels for the WWC thanks to Mondogoal. Mondogoal Launches Daily Co-Ed Pay Fantasy Game For Women’s World Cup, Men’s Stars. 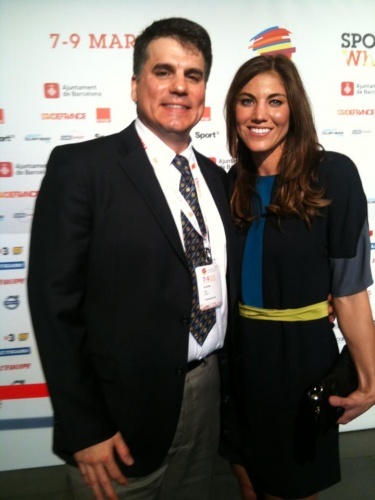 Go Team USA and Seattle’s Hope Solo.